Sri Lanka is one of those fascinating countries where travelers often forget about everything and completely unwind in the lap of mother nature. From its magnificent shorelines and diverse wildlife to its awesome adventures and scrumptious delicacies, everything about Sri Lanka tours is awe-inspiring. Fewer countries can offer this sort of an assortment in such a small area of land. Whether you are a solace lover or an adventure junkie, Sri Lanka never disappoints any traveler. Here are a few reasons why people from around the world travel to Sri Lanka and admire the beauty of this beautiful isle. 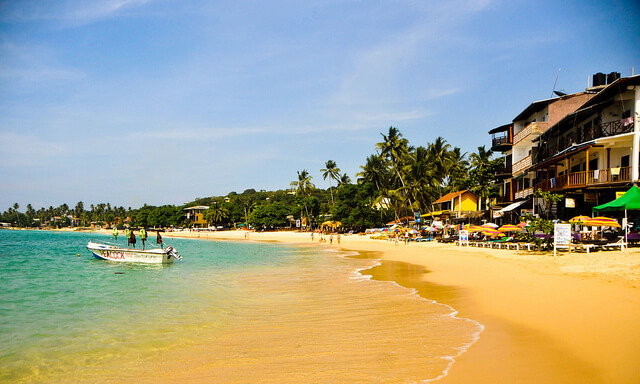 Beaches in Sri Lanka are popular all across the world. Most travelers visit this beautiful island country for its spick-and-span and secluded beaches. 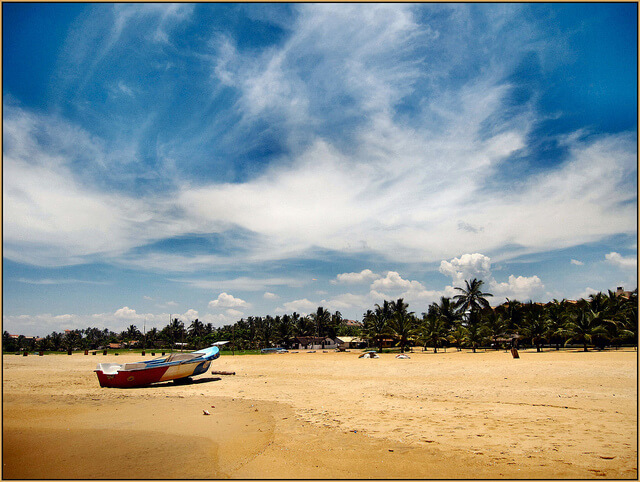 Hikkaduwa, Unawatuna, and Kosgoda are some popular beaches, where you can find both fun and sun in ample amount. The country is home to 1300 km beaches, and if you rent a motorbike to explore the island, you will find a slew of secluded beaches all along the Sri Lankan coast. The turquoise waters and lovely shorelines fringed with palm trees make Sri Lanka a perfect destination for beach holidays. A jeep safari in Sri Lanka offers a fascinating insight into the diverse and spectacular wildlife of the country. 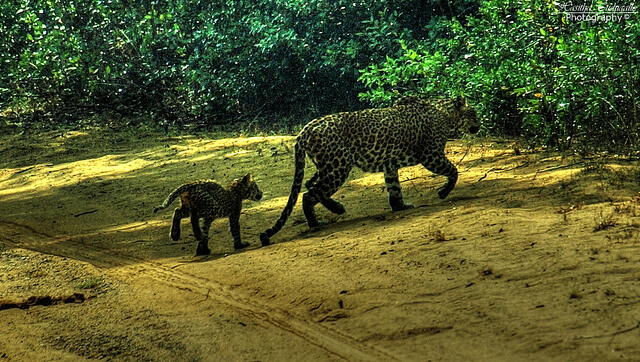 Yala National Park is a perfect place for wildlife and nature lovers. During your wildlife expedition in the park, you will see gorgeous landscapes and an abundance of wild animals including elephants, jackals, monkeys, leopards, crocodiles, and peacocks, to name a few. With the richest archeological heritage in the world, Sri Lanka is home to 8 UNESCO world heritage sites. 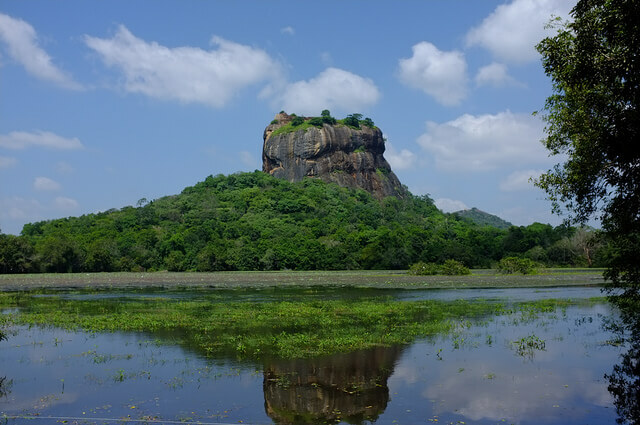 The most popular and attractive archeological site- Sigiriya, attracts a majority of foreign tourists and local travelers. The picture of this impressive site proudly stands on many Sri Lankan guidebooks and coffee table books. Standing at a perfect location, the heritage site is surrounded by jungles, farmlands, and villages. The history and archaeology lovers can’t take their eyes off Sigiriya. Unfold the trail of Ramayana by visit places in Sri Lanka that take you back to the time when the giant armies clashed and Rama conquered Ravana. It’s your chance to visit battlefields or even the place where Seeta Devi was kept captive. The Ramayana Trail is one of the best Sri Lanka tour packages for mythology aficionados. This tour will be the perfect blend of a vacation and a pilgrimage, all in one. If you are in Sri Lanka, you cannot miss out on visiting Pinnawale Elephant Orphanage, which is home to more than 80 elephants in Sabaragamuwa Province. Bottle feeding the elephant babies, serving food and getting wet while giving them a bath makes for a larger than life adventure. 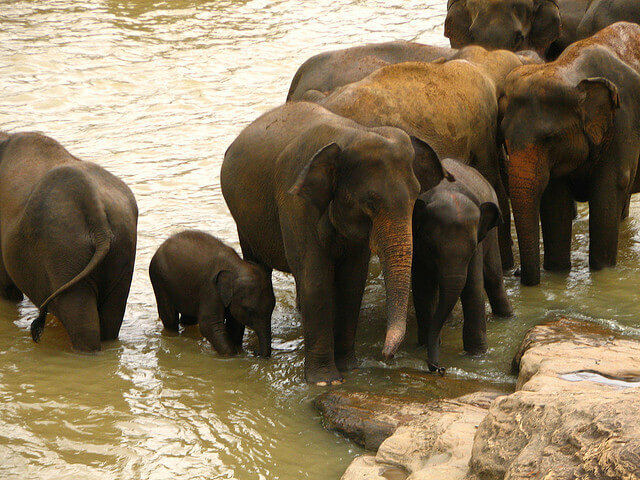 Uda Walawe national park is also a popular habitat for Sri Lankan elephants. It’s a rehabilitation center of orphaned and injured elephants. Here, you can easily see herds of elephants in their open habitat. Travel to Sri Lanka, a perfect destination for honeymooners to kickstart a new phase of life. If you are a couple who likes to live life on the edge, Sri Lanka gives you every chance to experience adventure, culture, and nature. Enjoy Dolphin and Whale Watching at Mirissa, visit Yala national park to experience wildlife adventures and pay a visit to Nuwara Eliya, the little England of Sri Lanka. The scrumptious Sri Lankan cuisine is a cherry on the top! 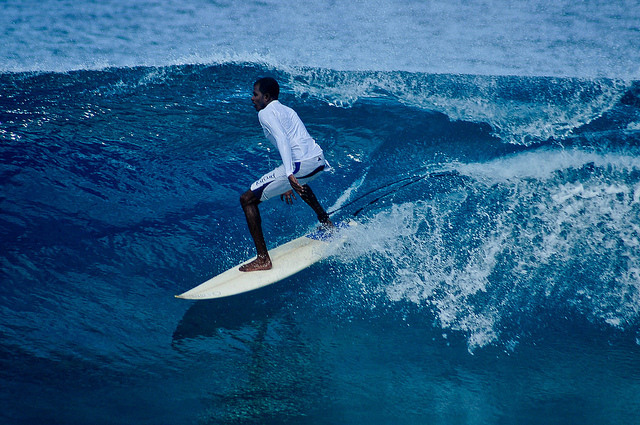 Adrenaline junkies on a quest for adventure can have an experience of a lifetime in Sri Lanka. From white water rafting, kayaking, and wave surfing to biking, kite surfing, and trekking, Sri Lanka proffers everything an adventure aficionado strives for. Do not miss out on climbing Adams peak, Sri Lanka’s most sacred site. You do not have to be an experienced trekker to climb the peak. It’s a place where Adam first set foot on earth after being cast out of heaven. It’s a must-visit place when touring Sri Lanka. Carpets of rolling tea plantations in Ella & Nuwara Eliya not only makes for a breathtaking view, but it completely rejuvenates your soul. 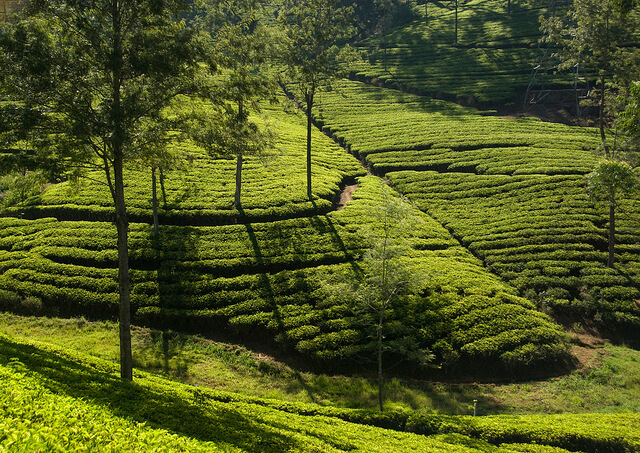 Sri Lanka is also one of the biggest tea producers in the world. Talk to the friendly people of tea plantations and know everything from cultivation to cup. If you are a tea lover, you can also stay in old plantation homes, sip the most authentic tea, and enjoy the mesmerizing views of the beautiful hill country of Sri Lanka. 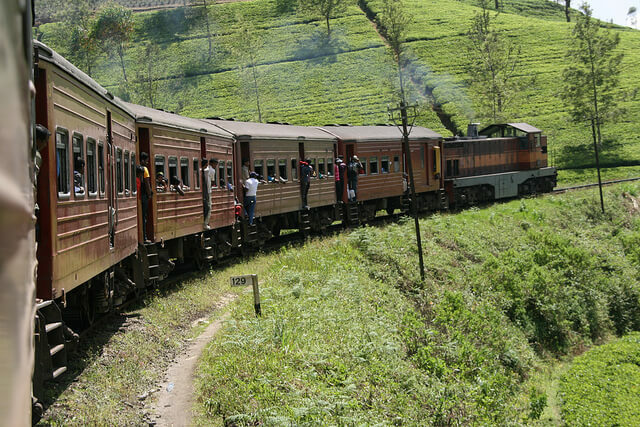 A voyage by Sri Lanka’s timeless colonial trains is sure to make you feel nostalgic. The slow journey through hills and valleys is more like stepping back in time. The railway line, originally constructed for tea and spices transportation, slowly chugs through spice gardens, cascading waterfalls, carpets of lush green tea plantations. A journey from sea to sky through trains will be your one of the most cherished moments in Sri Lanka. 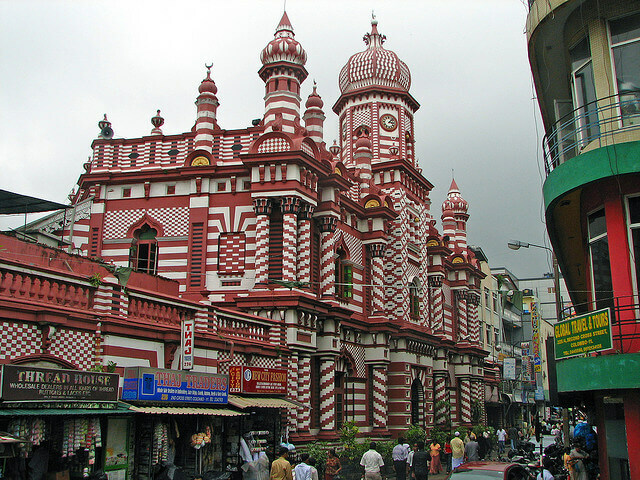 If you get a chance to travel to Sri Lanka, you must not miss Colombo – where time and culture overlaps. Whether you want to explore colonial garden roots or landmark colonial architecture, Colombo will be an epic start or finish to your Sri Lankan adventures. The city of contrast offers you a variety of options to eat and stay. Whether you want to eat at a gourmet restaurant or feast on irresistible street food, completely depends on your mood and budget. Do not miss out on visiting Galle Face Green, Viharamahadevi Park, and Mt Lavinia beach when in Colombo. Travel to Sri Lanka for some of the best whale watching in all the seven seas. Head to Dondra Point and enjoy watching the majestic ocean giants. 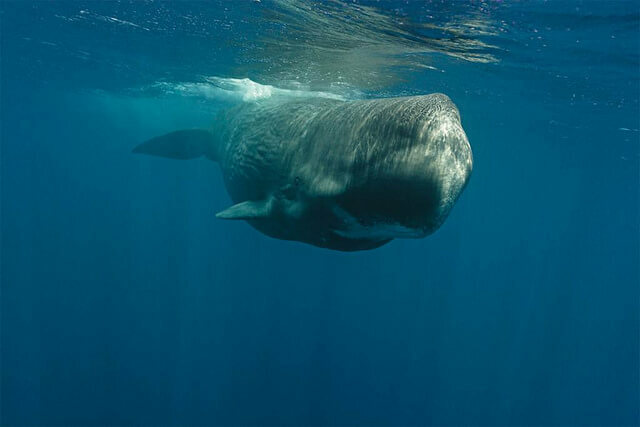 There is a 95 percent chance you will spot blue whales and sperm whales. Also, the BBC documentary ‘Ocean Giants’ was filmed around Sri Lanka, and according them they spotted 30 blue whales in a day. The thrill of seeing these mesmeric sea creatures gracefully gliding past your boat is an experience of a lifetime. To make the most of Sri Lanka tourism, Thomas Cook India provides exciting Sri Lanka tour packages and Sri Lanka Holiday packages. Planning your trip to Sri Lanka? Here are a few reasons why people from around the world travel to Sri Lanka and admire it's beauty.